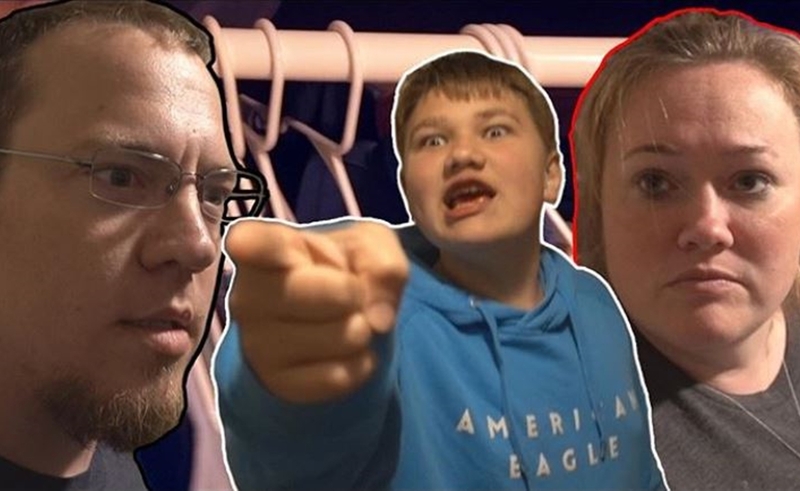 Amid persistent outrage, YouTube has finally terminated two channels belonging to DaddyOFive parent vloggers Mike and Heather Martin. The notorious Maryland couple are currently serving five years of probation after they were convicted of emotionally and physically abusing their children in YouTube videos last year. YouTube terminated two new channels created by the parents in the wake of that controversy — FamilyOFive and FamilyOFive Gaming — yesterday evening around 5:30 pm ET, reports WUSA9. Last year, the Martins earned the ire of the web with cruel pranks conducted upon their young children. After losing custody of two of their kids, the Martins apologized and rebranded with the new FamilyOFive channels. However, WUSA9 reports that the new content was merely a “toned down version of the original DaddyOFive channel.” A trailer for FamilyOFive, for instance, showcased one of the Martin children getting hit in the groin with a ball, and another being harassed to the point of emotional meltdown, per WUSA9. In a vlog from February, one of the children explains a black eye he says he received while playing with his older brother. Accordingly, a resurgence of outrage has been brewing on both Reddit and YouTube. FamilyOFive and FamilyOFive Gaming counted a combined 400,000 subscribers prior to their deletions.